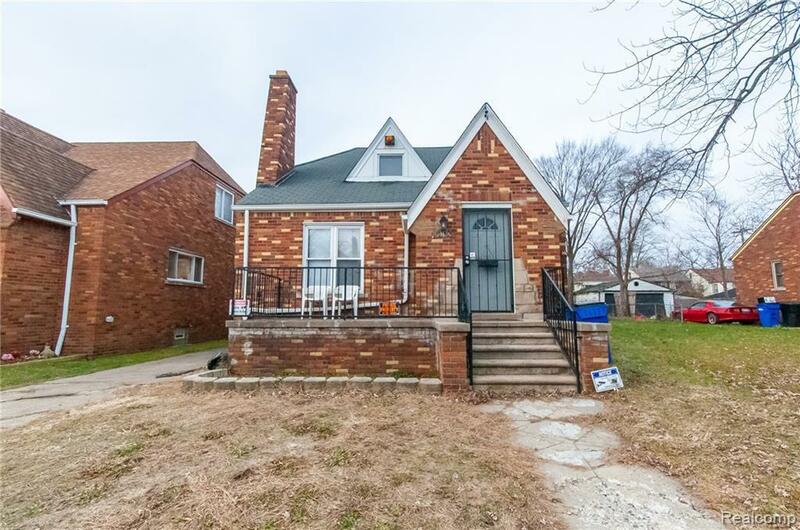 Welcome to this 3 bedroom 1 full bath Detroit brick bungalow! Beautiful hardwood floors throughout entry level. Kitchen with breakfast nook updated with granite countertops, ceramic tile floors and plenty of cabinetry for storage. Appliances included. Large formal dining room for family gatherings. Spacious living room with cove ceiling and natural fireplace. 2 bedrooms and full bath on entry level. Second level contains the large master bedroom and library/office area that could be used as a 4th bedroom. Fenced in back yard. Close to freeways for easy commute. Short drive to downtown Detroit for endless opportunities of shopping, dining and entertainment. Could make a great starter home for a first time buyer! Call today to schedule your own private showing!